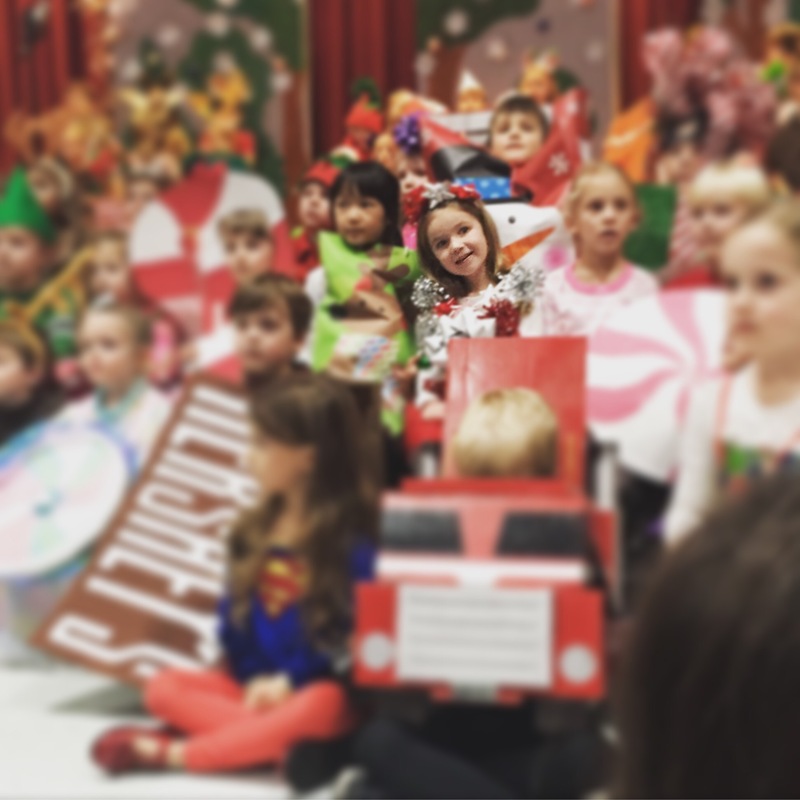 Last night, my kindergartner performed in her school’s holiday pageant. For weeks, she has been singing her heart out to “Santa Clause is Coming to Town” and “Rudolph the Red Nosed Reindeer,” as well as – curiously – “Hickory Dickory Dock” (a favorite). 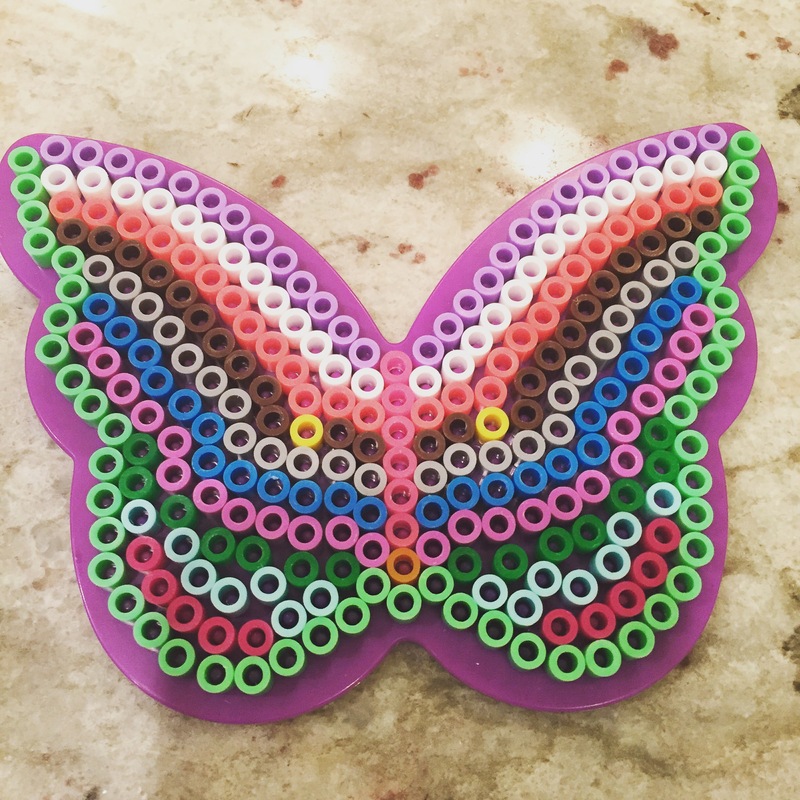 She asked me to ask her music teacher for the song lyrics so she could practice, and practice she did – while doing perler bead art and taking baths, while perched in her booster seat and as a means of blessing at the dinner table. Historically, Elizabeth takes on the Cindy Brady game show stare when on stage. She is a fan of neither crowds nor strangers. And, I suspect, like me, she has trouble learning anything auditorially. To this day, I cannot recall most song lyrics, lines from movies, or very much in the way of learning that I haven’t written down. So, my hopes for this Christmas pageant were only that Elizabeth would enjoy it – and that there would be glimpses of her true joy on stage. In all her past performances, Elizabeth has only mouthed a word or two of the assigned songs, looking uncharacteristically glum in the process. It turns out, though, all that practice paid off. She sang her heart out, smiled and giggled and, as one 2nd grade friend said after the show, “looked just like a firework.” Elizabeth still didn’t know ALL. the lines, but that was OK, because she was SO EXCITED about being there, and she knew that’s where she belonged. Parents always tear up at things like this. And I think it actually has less to do with the sweetness of such an event (although it was very, very sweet), and more about the way it restores our hope in the future, our belief in all that is truly good and truly important. Watching 100 five year olds celebrate the magic and light that composes their worlds makes it easier to believe in the magic and light in our own. And the reason children give us so much hope is that they represent the very best of everything – our best effort, our greatest love, our undeniable wealth in the only things that matter. As I looked at that glittering stage last night, so overflowing with excitement and the grandeur of childhood, I felt an upswell of joy that’s eluded me for some time. I recognized again that the reason we feel so passionately about the wonderful and terrible things happening in our nation and our world is that we desperately want to bottle up this kind of joy and freedom. Which is a little bit of a problem – because joy and freedom are best unbottled. So the questions I’ve got running around in my head these days are: What am I imprisoned by, and how can I walk towards freedom? How can I support a more joyful, care-filled existence for anyone who comes in contact with me today? If I can change just one person’s day for the better, why wouldn’t I? It was only a Christmas pageant. But it was awesome – a ridiculous, adorable, celebratory thing that reminded me, again, that we can all be united, despite our differences, and that hope is still very much alive.